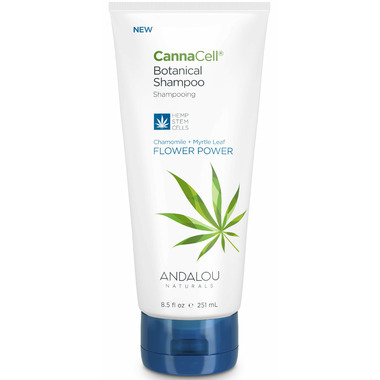 ANDALOU naturals CannaCell Botanical Shampoo invigorates your hair with CannaCell® hemp stem cells, organic hemp seed oil, and pure plant essential oils for hair that needs peace, love, and revitalizing hydration. Safe for colour-treated hair. Directions: Apply to wet hair, massage to a rich lather and rinse clean. This is a new product for me, though I have tried several others made by this company. Really nice smell and easy on my skin. I have super sensitive skin and have to be very careful or I end up with running oozing sores on my scalp. This product is gentle and mild and works very well.